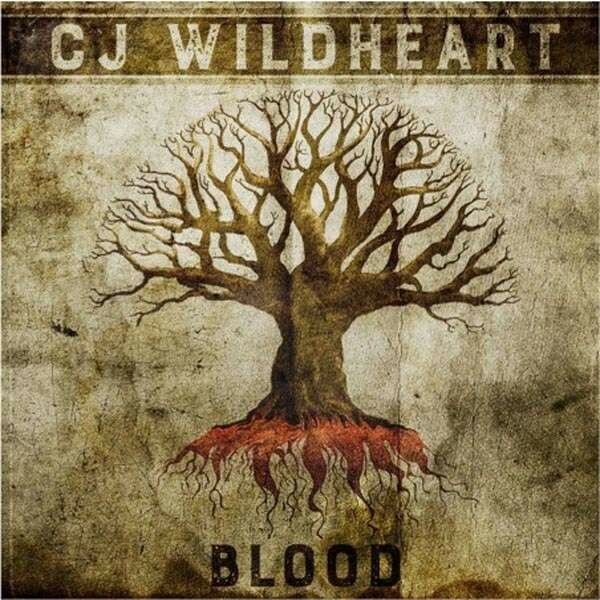 Not until 2007's CJ & The Satellites did CJ Wildheart put his own name front and centre, the guitarist and singer, up till that point, known for his contributions to bands like The Wildhearts, Honeycrack and The Jellys. Since the last flurry of activity from his previous band (or are The Wildhearts current? I doubt even they know...), CJ's name has been up in lights; 2014's 'Mable' (named after a chicken, no less) was a confident stand-alone debut, before 2015 served up an even bolder excursion in the non-mechanical shape of 'Robot'. 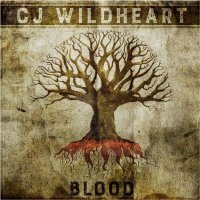 Solo outing number three, 'Blood', finds CJ in thoroughly fiery fettle, and this latest album to bear his name is downright Wildheartsy in places, something he's mostly sidestepped until now. Bringing an angrier edge and punky shove, 'Blood' has no intention of apologising for the uncompromising statement it is. Yet, if there's one aspect CJ Wildheart has brought to any album he's been involved with, it's melody and he ain't about to stop that now. If you want choruses to sing along to, then you've got them in abundance. If it's hook-laden melody lines you need to live the dream, 'Blood' is positively falling over itself to satisfy that craving too. However, what this latest outburst really stands for are the riffs; they're smart, they're clever and they're downright huge. With Jason Bowld hammering down an authoritative drum display, the foundation is rock solid and boulder big, as the shout and retreat of 'Tea Leaf' explodes and the lead single 'Kiss It' provides one minute fifty of mind-hacking aggression – it's so catchy it might just put Velcro out of business! However, don't get the impression 'Blood' is all bludgeon over bliss. 'Plastic Invasion' combines a verse that wouldn't have been out of place on The Wildhearts' 'Endless Nameless' (there's elements of 'Suckerpunch' and 'Caffeine Bomb' in here also) to a slow melodic majesty. 'Itch' scratches the more obviously melodic irritation while still offering up a massive guitar grind – Industrial-Disco anyone? – and '50 Percent Indian' crosses the boundaries between Honeycrack and The Hearts as CJ Wildheart deals with the racism he experienced growing up. They say 'Blood' is thicker than water. With riffs, melodies and hooks this gargantuan, no wonder! Have you ever imagined what The Wildhearts might have sounded like if CJ Wildheart had been steering the ship? This may just be the answer.